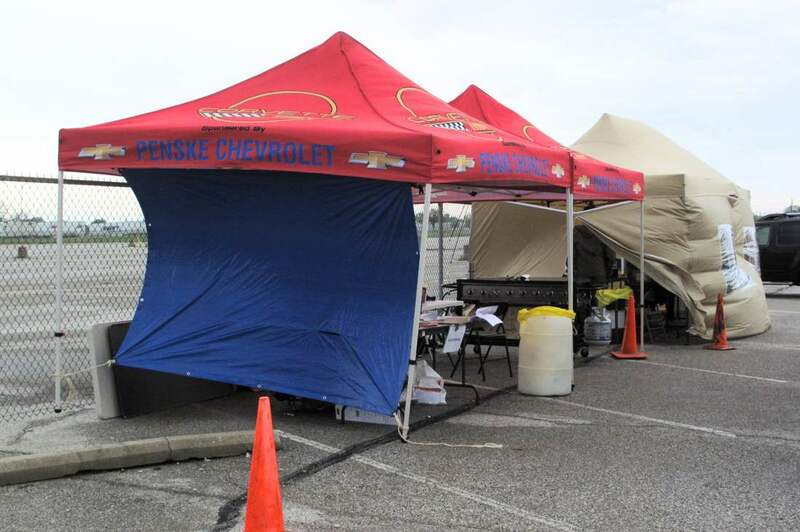 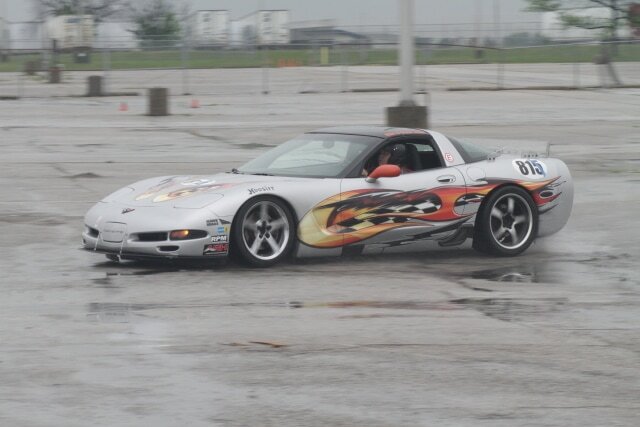 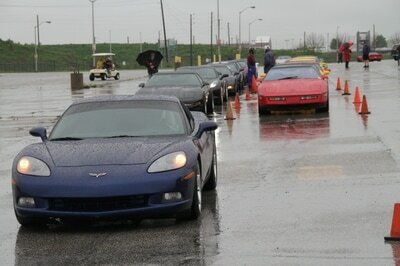 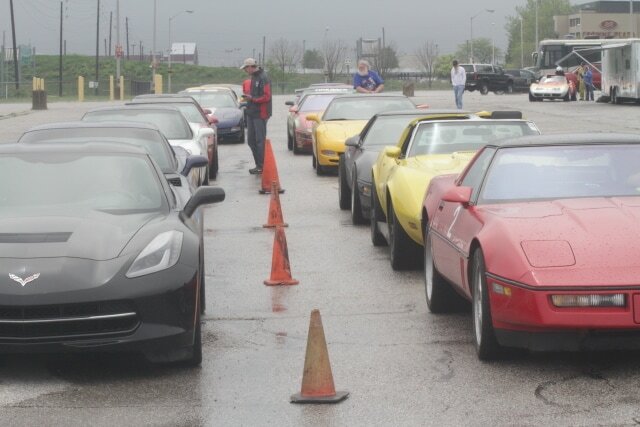 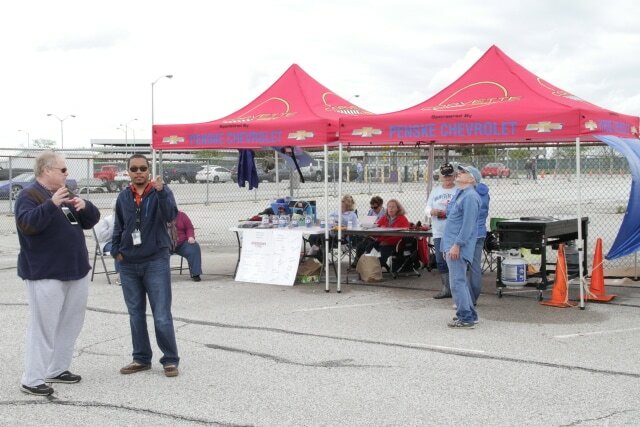 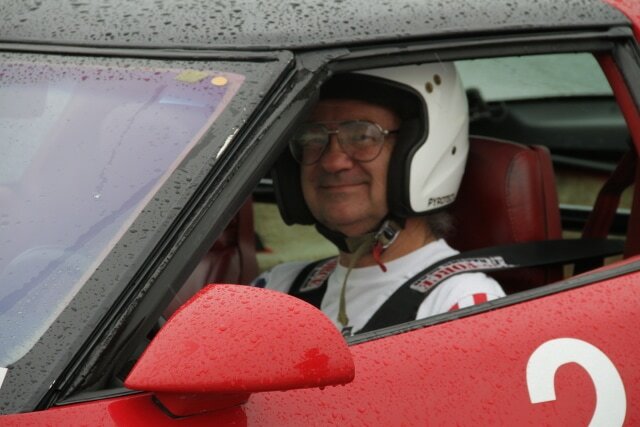 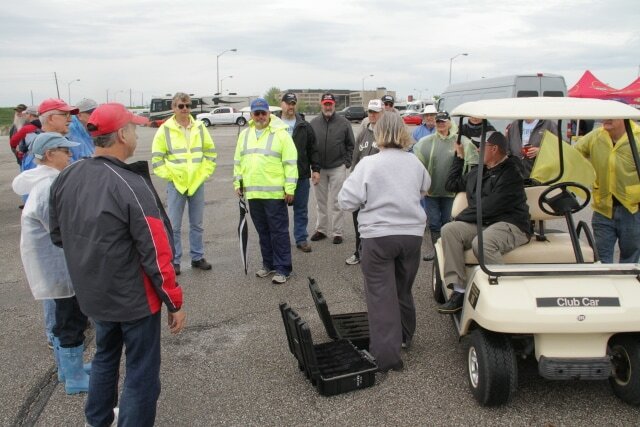 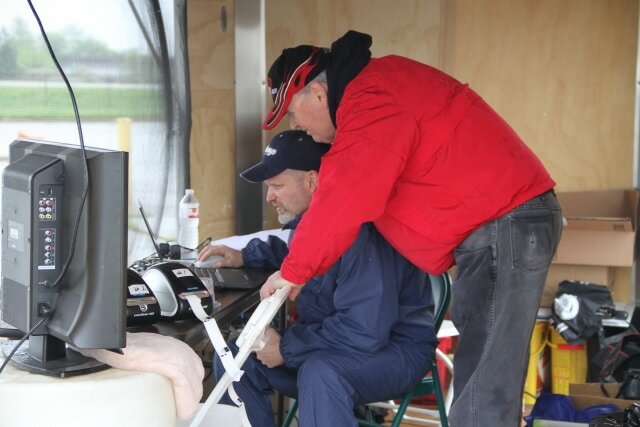 The 28th Annual Corvette Indy Main Event Autocross was held on April 29 & 30,.with the weather at the end of the month leaving like a lion. 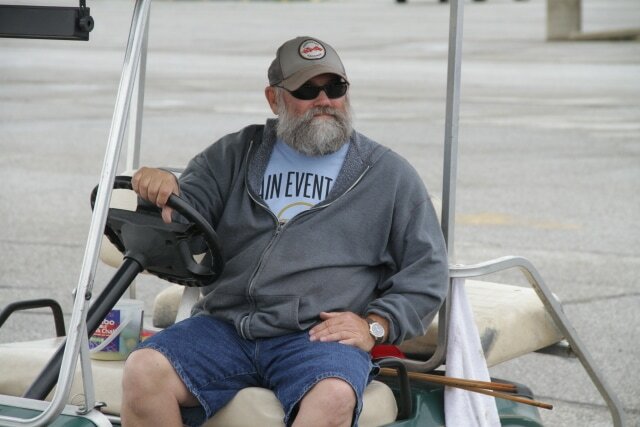 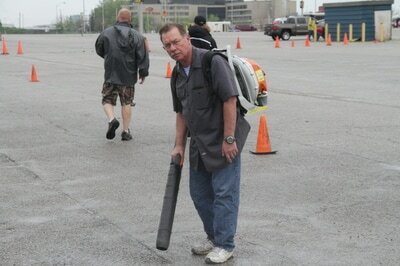 For the second year in a row Main Event was held at the old Indianapolis Airport parking lots. 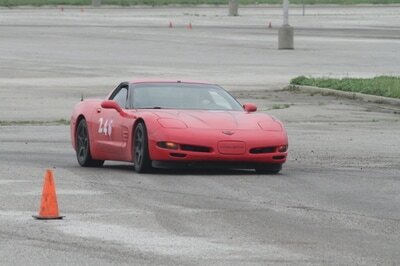 This huge location allowed for another long course although this year it headed North from the center due to last year's course breaking up. With the weather forecast all week for a very wet weekend the driver count was a bit smaller, but still a respectable 29 on Saturday and 39 on the bit sunnier Sunday. 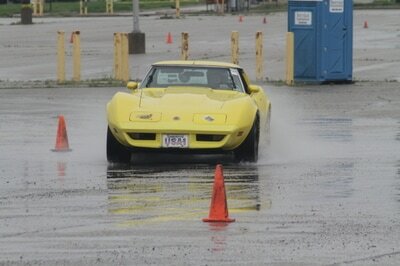 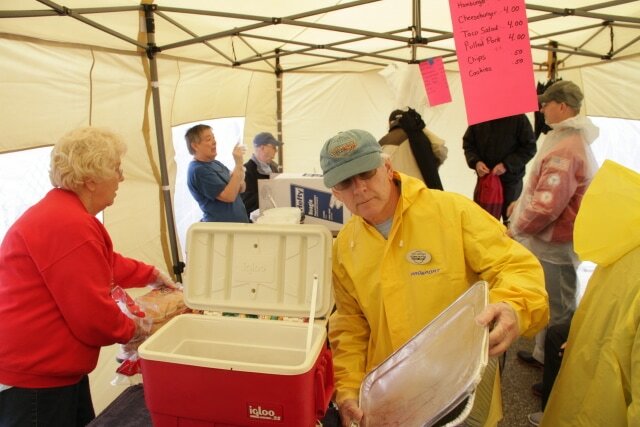 Saturday's events started in the rain for true rain tire conditions but as the day progressed the sun popped out and it dried up enough for a black lane to soon appear on the course. 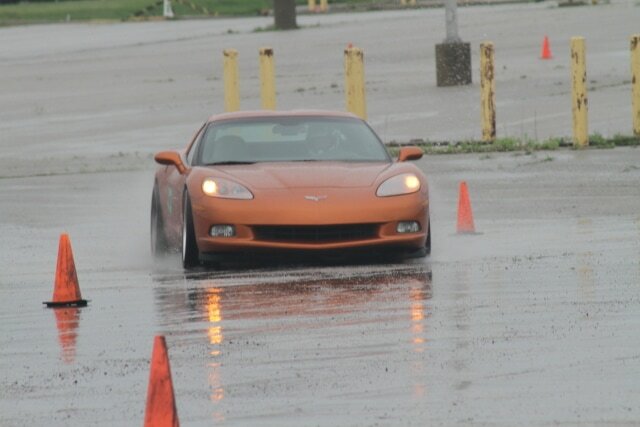 With the wet conditions and long course the 7 event 14 runs extended in to late afternoon. 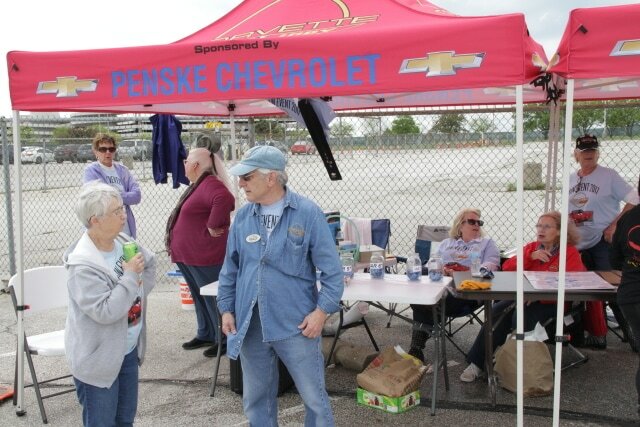 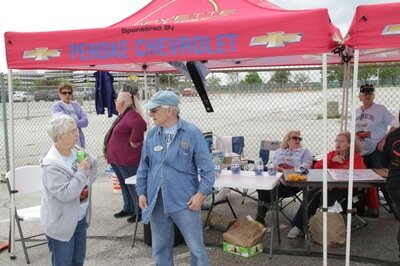 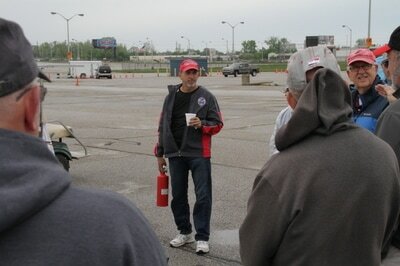 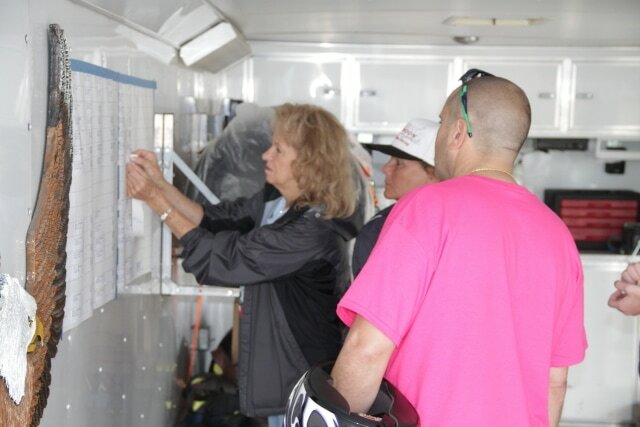 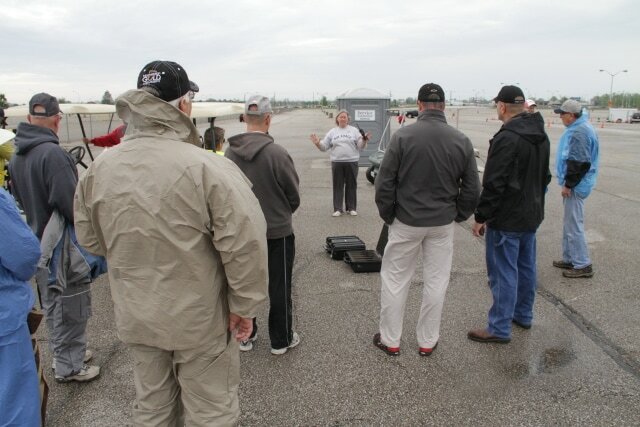 This was followed by a dinner for competitors and workers hosted by Corvette Indy members Tammy & Butch DeWitt. 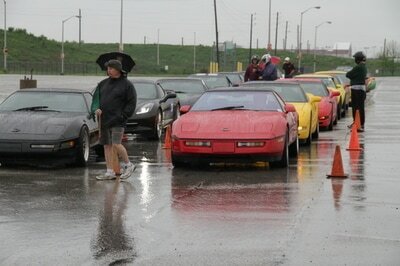 Sunday dawned fairly dry after over night rains and runs were starting in the dry. It was windy though which would blow cones over, that along with a few timing and other course holds had the first runs of the 7 events finish around one. 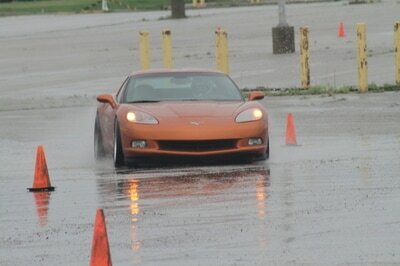 Unfortunately that is when the rain decided to return and settle in. 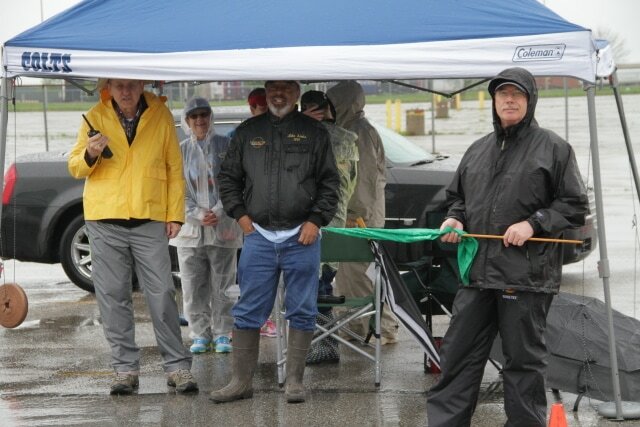 The second round of events went fairly quickly as many of the point chasers stood on their first round times and headed home. 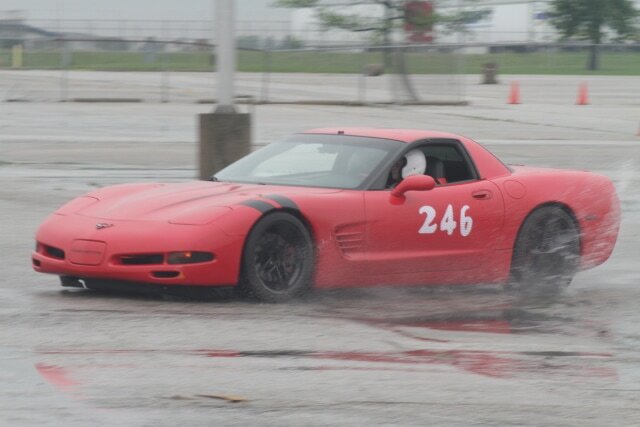 There were a few that needed a second run and the several metal and non NCCC Corvette drivers did their full 14 paid for runs. 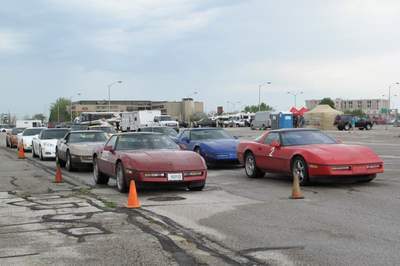 The events did finish around 2:30 and the remaining racers & Corvette Indy workers packed up and were soon headed home.